This Fall (2014) marks four years since we started the conversation about growing a Bigger worship. Since then we’ve had the pleasure and challenge of many of our 4-week discussion groups, as well as a few opportunities to introduce these ideas through teaching venues. 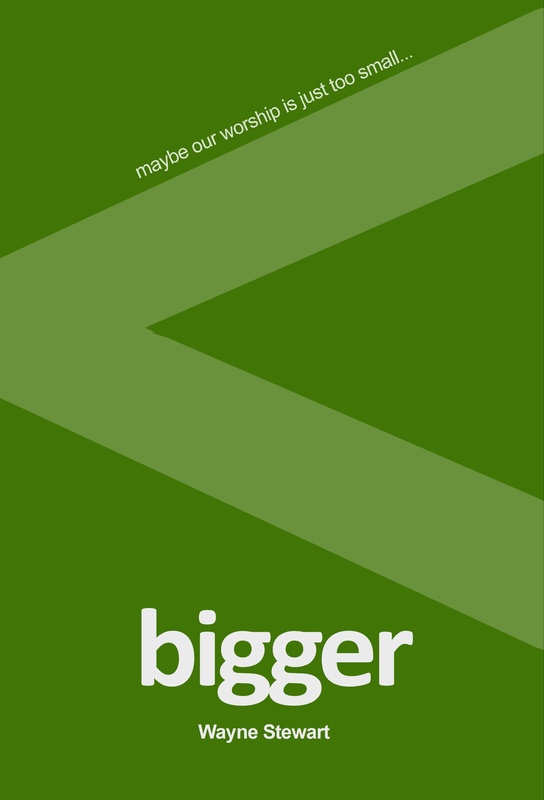 The core teaching material, renamed “Bigger” along the way, has continued to be revised and edited in light of these parts of the ongoing conversation. After an intensive nine months of re-writing and helpful editorial and theological input, it is now nearing completion. The core ideas are much the same. We just hope the overall writing and approach is better. Well…bigger than it was before. Ideas have been tightened up and there are two brand new Next Steps Chapters that we hope will greatly enhance the forward momentum of folks on the backside of group work. We are thankful for the many people who have helped challenge this process toward completion. This blog will be undergoing a transformation as well, in late summer, in order to support the new material better. For now we have taken down the content pages. There will be new pages soon. Until then, the blog posts will continue.